Located on Morocco's Atlantic coast, Casablanca is one of the nation's busiest cities. Immortalized by the Humphrey Bogart and Ingrid Bergman movie of the same name, it is an important center of commerce and a major tourist attraction.​ Top sights include the Hassan II Mosque (one of the largest in the world), the picturesque old medina and the seafront promenade known as the Corniche. Morocco is blessed with an affordable, reliable and safe railway system run by national operator ONCF. As such, one of the easiest ways to get to Casablanca is by train. Casablanca is also home to Morocco's busiest international airport, Mohammed V International Airport (CMN). Many visitors arriving at the airport choose to travel onwards by train to cities like Fez, Marrakesh and Tangier. To do so, you will need to make your way to Casablanca Voyageurs, the city's central train station. To reach the station from the airport, hop aboard a commuter train or hire a taxi. It is possible to purchase train tickets in advance on the ONCF website, now available in English, French and Arabic. If you have problems making payment, consider asking an in-country travel agent or tour operator to book tickets on your behalf. Alternatively, it is usually possible to purchase tickets in person at the station on the day you intend to travel. Trains run often and are rarely full - although if you plan on traveling during peak times, it may be best to visit the station a day or two in advance to reserve your seat. The busiest days coincide with Moroccan national holidays such as Eid al-Fitr (the festival that marks the end of Ramadan) and the Islamic New Year. These dates change from year to year. First Class or Second Class? Trains in Morocco are divided into compartments. First class compartments have six seats, while second class compartments have eight seats. The price difference between the two classes is minimal - approximately USD 10, depending on the route. The main benefit of booking a first class ticket is that you will be allocated a specific seat. This means that if you're the first in line, you can reserve a window seat - a great way to see Morocco's beautiful scenery. Seats in second class are filled on a first come, first served basis. 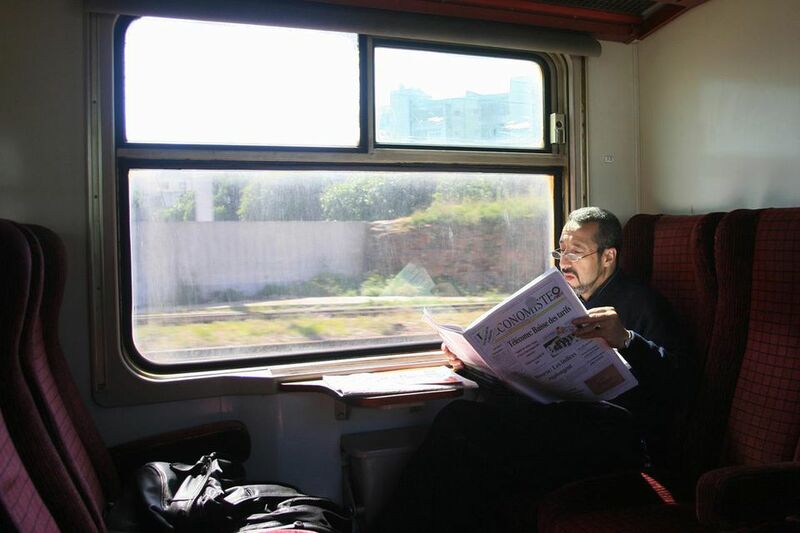 From Casablanca Voyageurs it is possible to catch a train to destinations across Morocco. In the tables below, you'll find details of some of the most popular routes. Please note that these schedules may change without notice - as such, it's always best to check for up-to-date timetables when you arrive in Morocco. Your hotelier or tour guide should be able to advise you; or you can check the timetables on the ONCF website. However, the following schedules act as a helpful guideline. NOTE: Some schedules may vary in June and during Ramadan, when extra trains are added to the timetable to accommodate holiday travelers. *This service requires you to change trains at Sidi Kacem. This article was updated by Jessica Macdonald on January 15 2019.